THE GLOBAL ELITES ARE INTENDING ON KILLING OVER 80 PERCENT OF THE WORLD’S POPULATION THROUGH OUR WATER, CORRALLING THE SURVIVORS INTO CAMPS TO BREED A NEW RACE OF SUPERHUMANS!! How do I know this? Alex Jones said it. Perhaps that’s too much advanced truth for you. Here’s an easier truth to digest: Some nootropic products aren’t selling what they’re advertising. This seems to be the case between Brain Force & Thrivous Clarity, one of which isn’t what it says it is. Let’s hit the review to solve this conspiracy. Brain Force: Fights the Toxic Weapons!! 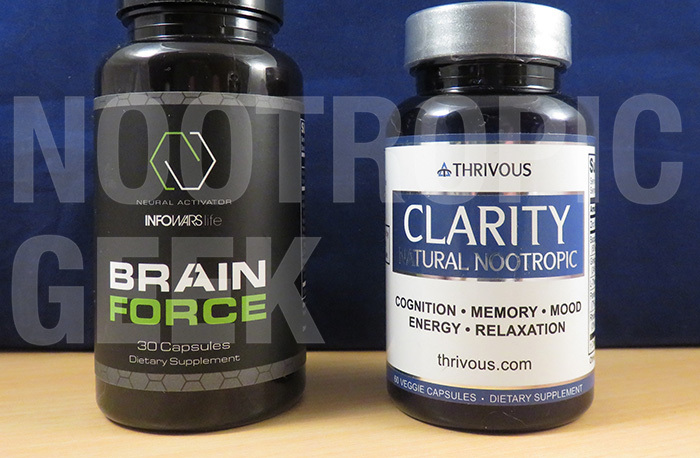 Brain Force or Thrivous Clarity: Which is better? What you see is not what you get here, at least for one of these products. Does that sound like conspiratorial delusions? Noo, it’s the TRUTH. And you need to WAKE UP to what’s going on AROUND you!! That’s my best written impression of Alex Jones, host of The Alex Jones Show, conspiracy theorist on Infowars. Infowars’ Brain Force was engineered to combat the “toxic weapons” in our food & water that make us “fat, sick, and stupid.” If you’ve ever listened to Alex Jones, none of this should come as a surprise to you. But what may surprise you is how healthy this formula is, starting with one of my favorite nootropics: Bacopa Monnieri. Other memory & focus supporting nootropics on the list include Alpha-GPC, Phosphatidylserine, Vinpocetine, & Huperzine-A. Of course, there’s also caffeine (sourced from Yerba Mate), but this is offset by the green tea relaxant L-Theanine. Yet, I doubt the caffeine is too excessive considering the Yerba Mate is in powder form and not extracted for caffeine, making this stack more brain healthy nootropism than cheap stimulation. Read my in-depth review on Brain Force. Both are not effective. Ginseng leaf is not the same as Ginseng root. Rhodiola Crenulata is not the same as Rhodiola Rosea. Both are cheaper, less bio-active. The remaining ingredients are solid–Bacopa extract, Ginkgo extract, & L-Theanine–assuming that those extracts are what Thrivous Clarity says they are. Read my in-depth review on Thrivous Clarity. No one’s who they say they are these days. 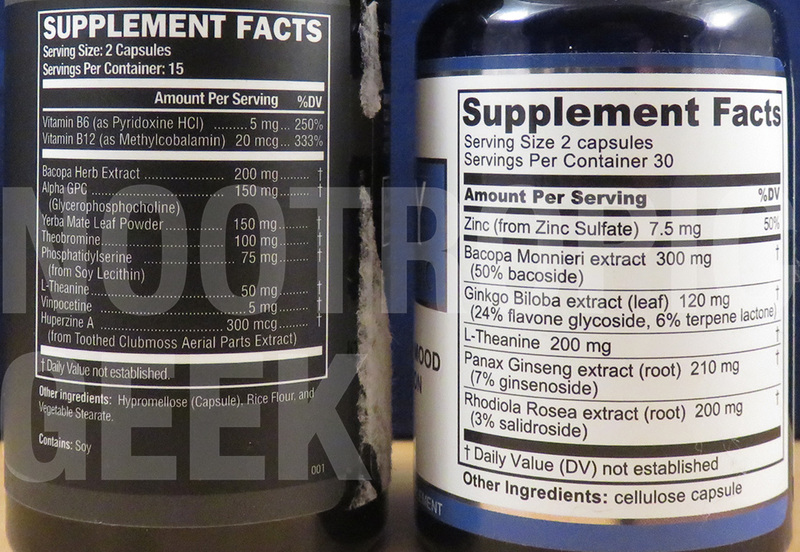 There are only two ingredients shared by these formulas: L-Theanine & Bacopa Extract. And, again, this depends on whether or not Thrivous Clarity is being genuine with its Bacopa extract (50% bacosides) description–which is a quality, potent standard of this valuable nootropic. B Vitamins. The methylcobalamin Vitamin B12 is in right form. The pyridoxidine HCl Vitamin B6 is not (should have went with P-5-P). Still a valuable set of mood boosters. Alpha-GPC. While I prefer Citicoline as a nootropic, Alpha-GPC has the densest choline concentration that’s able to cross the blood-brain barrier. Phosphatidylserine. Not the sunflower-derived PS that I was hoping for (it’s soy-derived instead), yet it’s still PS. And PS is an awesome brain booster. Black Pepper Extract. Enhances nutrient absorption, increasing the amount of Brain Force that gets absorbed & utilized. Bacopa Extract. As I mentioned, 50% bacosides is a potent extract, slightly higher than the typical 45% bacosides standard. Ginkgo Biloba Extract. Standardized to 24% flavone glucoside, 6% terpene lactone. Supports cerebral circulation and memory. No Ginseng Root or Rhodiola Rosea. It would be nice if Thrivous Clarity actually provided these herbal extracts, which are great for promoting energy, reducing fatigue & stress. Without the FAQ correction, Thrivous Clarity clearly presents itself as a higher quality product over Brain Force, which displays average potency & quality (perhaps above average when you consider the black pepper extract). 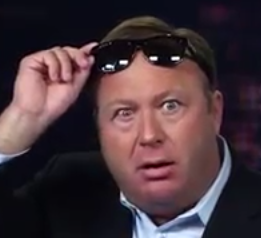 Alex Jones can’t believe it. Yet, I trust Brain Force more. And it isn’t just because of the mismatch between Thrivous Clarity’s Supplement Facts and reality. It’s because Thrivous Clarity attempts to cover it up by suggesting “both are effective.” Then doing nothing to clear up the issue, or reformulate the product to the standards advertised. Ginseng root and Rhodiola rosea are clearly higher quality & higher potency options to the ones provided, and Thrivous Clarity must know that. Odds are they didn’t want to cash in on premium grade ingredients. But at least their cheapness translates to a cheaper price. Brain Force defends the truth. Many of you may laugh at that statement considering some of the claims made by Alex Jones, but however you feel about Infowars, you should feel pretty good about Brain Force. It may not actually combat the “toxic weapons” in our food & water, but it makes for a decent quality nootropic stack that’s both healthy & stimulating. If you buy Brain Force Plus size, too, you essentially get the same formula, except more servings for the same price. Thrivous Clarity be making ish up. If Thrivous Clarity’s formula were delivered as advertised, would it rank higher than Brain Force? I would have to say YES to that: Thrivous Clarity’s advertised product sells an impressive, high-value, high-quality nootropic formula that I wouldn’t mind throwing money down on. It’s something I’d like to buy & try in the future.